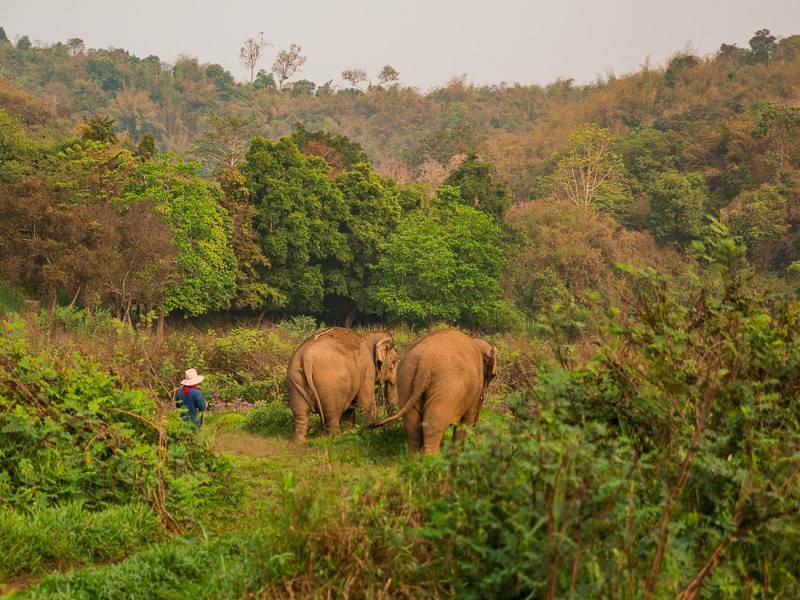 Animal activists around the world started a movement YEARS ago to prevent the taming and domesticating of wild animals, and this is the story of how the Anantara Golden Triangle Elephant Sanctuary have helped reintroduce wild Elephants back “into the wild”. 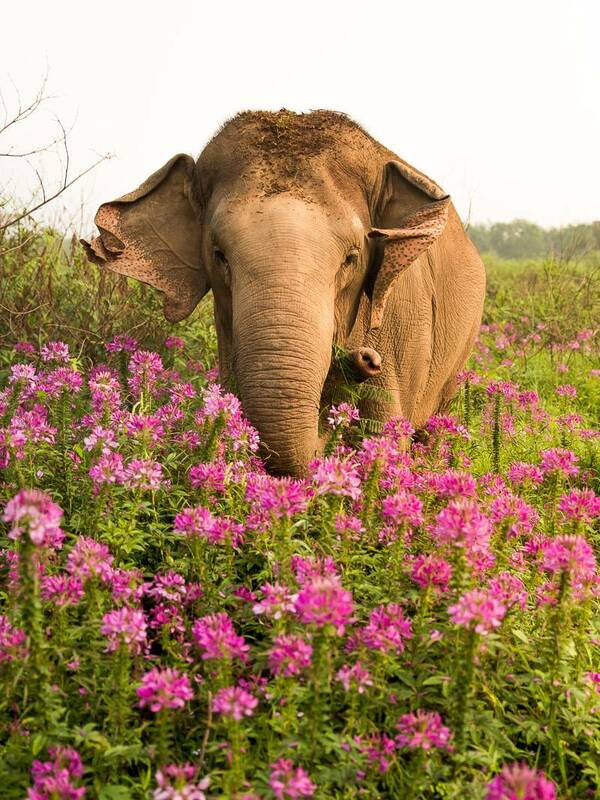 I say “into the wild” because despite the vast amount of free space these Asian Elephants have, they can never be fully reintroduced into the wild because they’ve been domesticated to the point of no return. 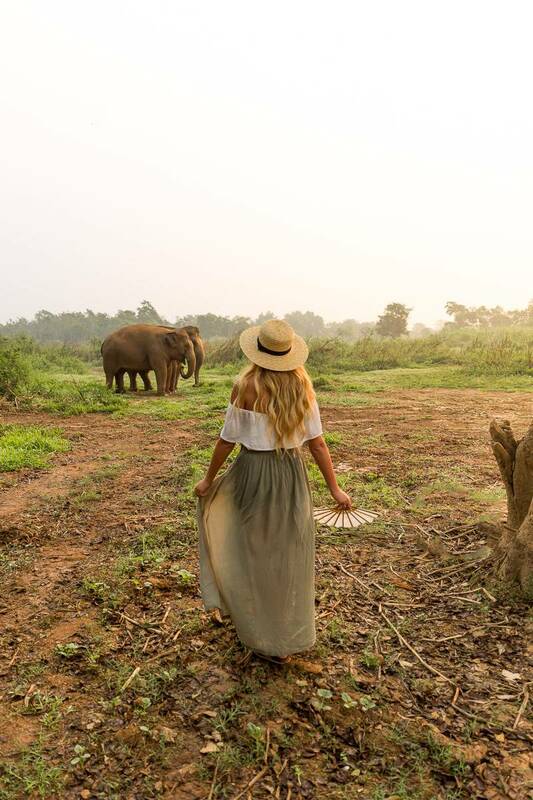 What the Anantara Golden Triangle Elephant Sanctuary does, is they offer these Elephants an amazing life on their huge property, where they get to roam free every day for the rest of their lives. 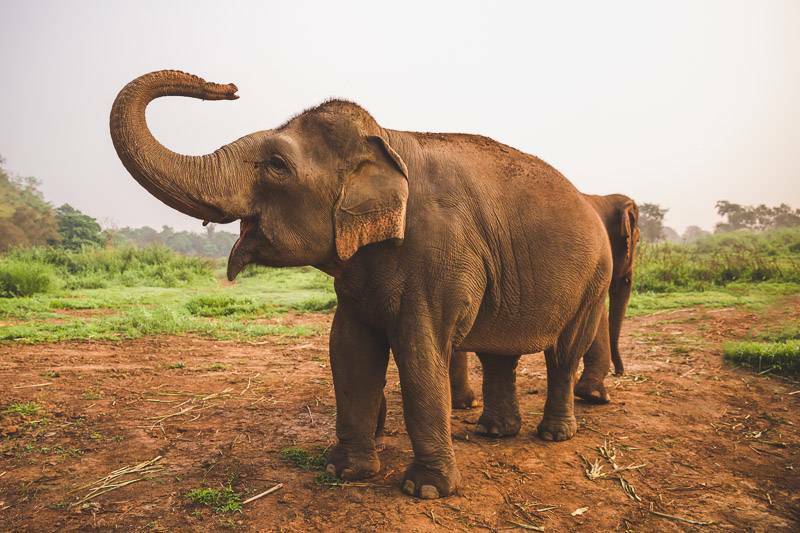 They do this with the strict rule to never breed these rescued elephants to ensure that these gentle giants are the last of their domesticated kind in the area. 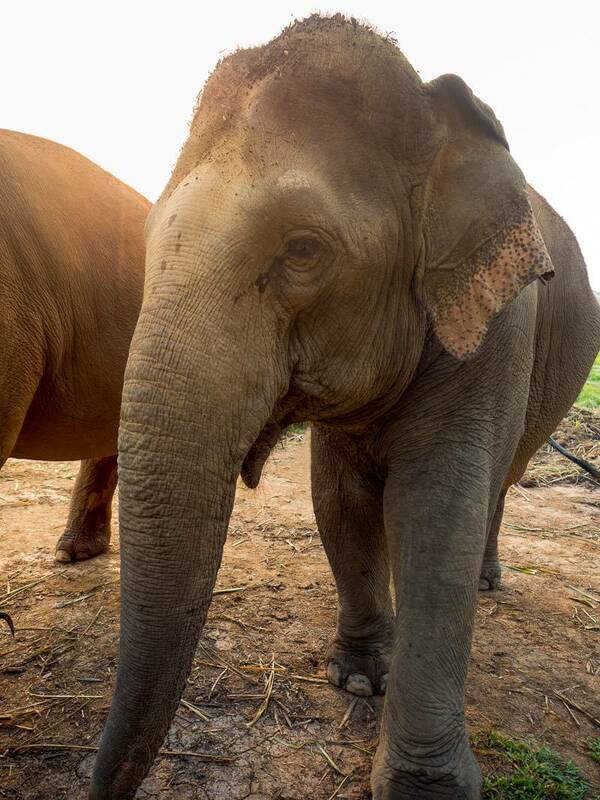 However due to unforeseen circumstances, they have recently been left with an elephant that arrived on the property pregnant, which they could not turn away. 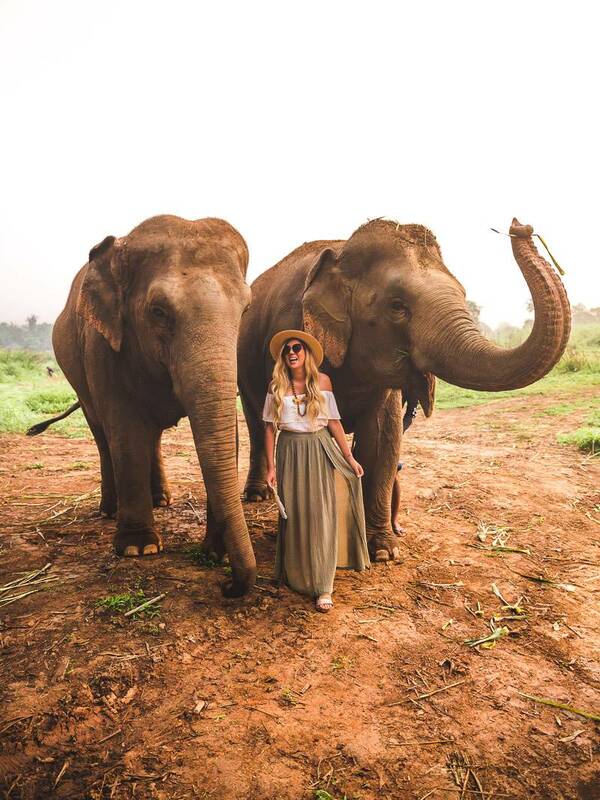 Not only are the folks at the sanctuary helping these elephants live a better life, but they are educating locals as well as tourists from all over the world, that it is wrong to domesticate these beautiful creatures and that more awareness should be brought around the cruel treating of all wild animals around the world. 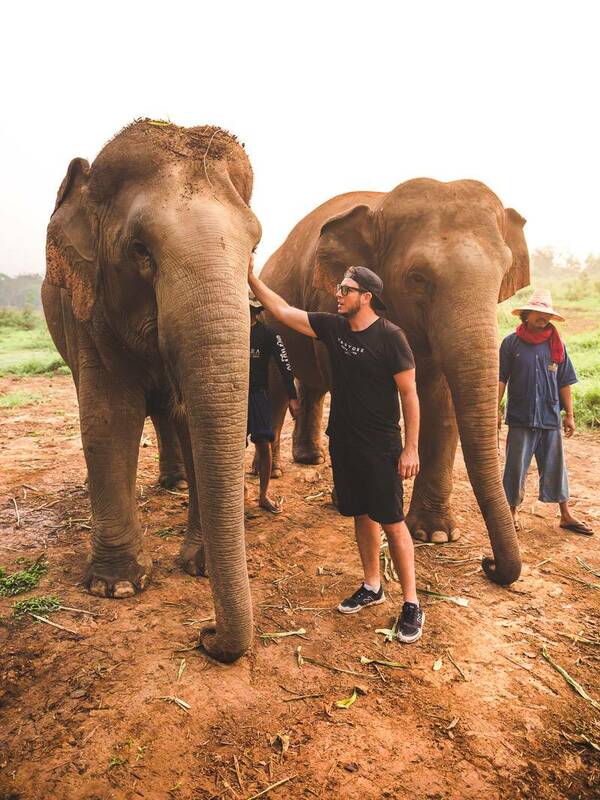 I agree with this movement 100% because animals like Elephants, Lions, Tigers etc. 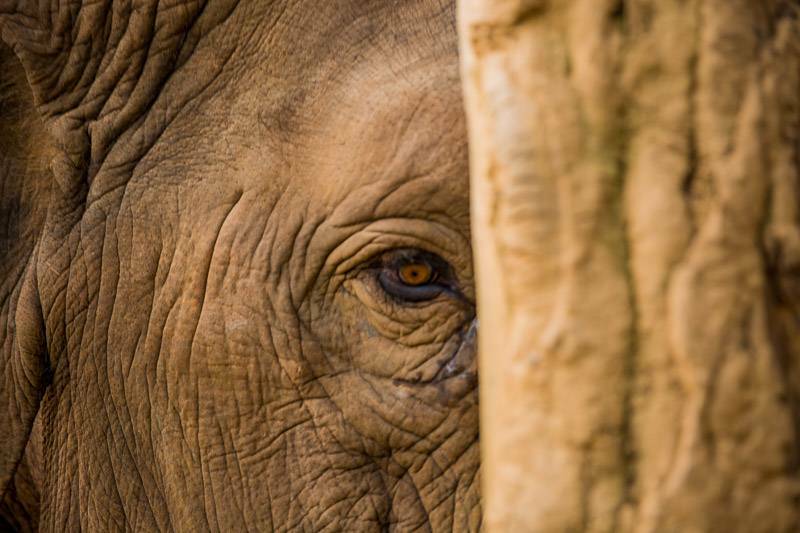 were not supposed to be kept or born in captivity. 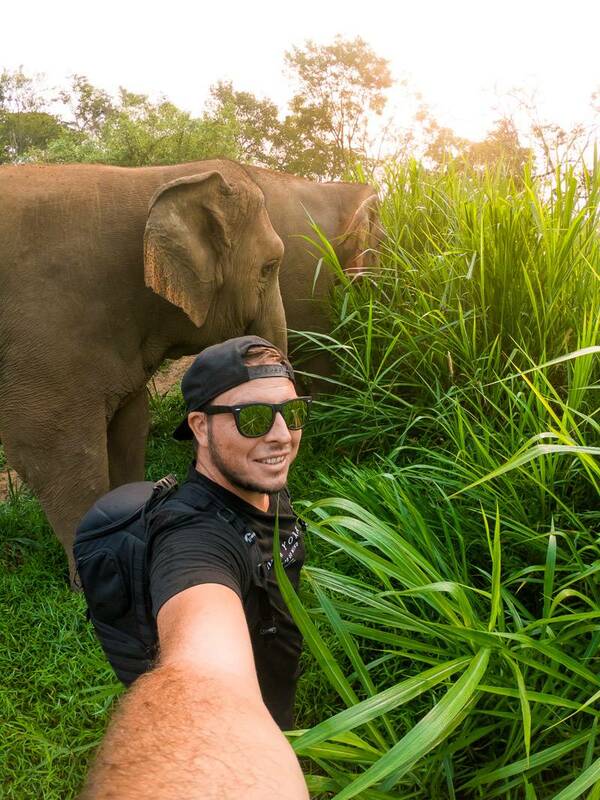 During the 4 Years I’ve been travelling the world as a Travel Writer and Photographer, I’ve had the opportunity to see many amazing things, but “Walking with Giants” at the Anantara Golden Triangle Elephant Sanctuary was probably one of the most beautiful and soulful experiences to date, which is why I’ve decided that it would be my first blog post since arriving back from the trip I did to Thailand last month with Thailand Insider. 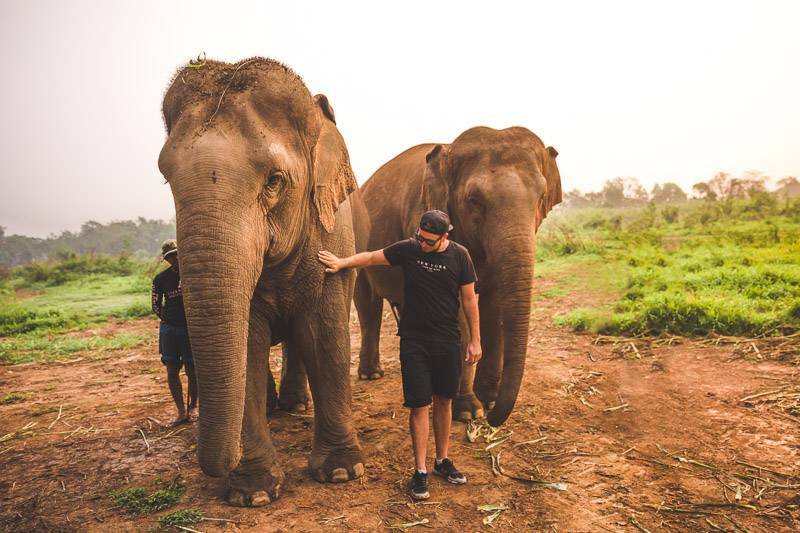 More will be written about the entire trip will be written in future posts, but for now, let me talk a little about the 2 hours I spent walking with two Asian Elephants named “Pleum” and “Bo” just after sunrise on our last morning in Thailand. 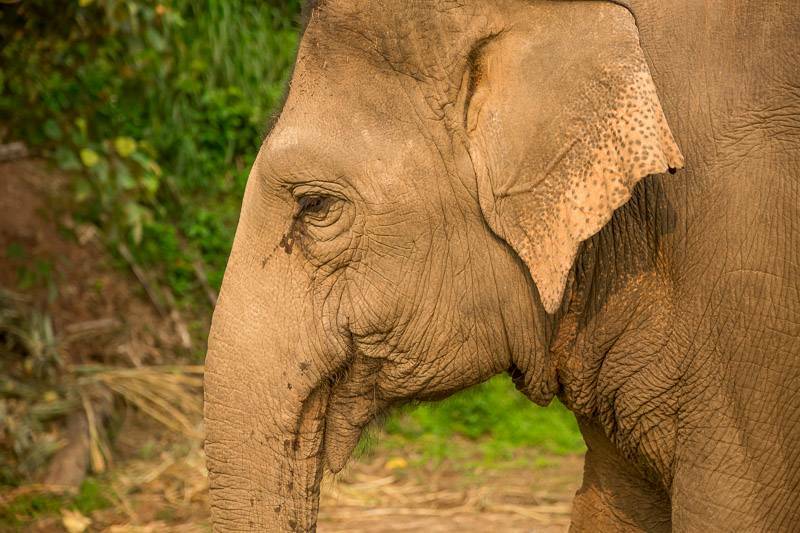 Pleum was the first elephant we brought from the streets, with her mahout and family, way back in 2005 – even before we had a Foundation. 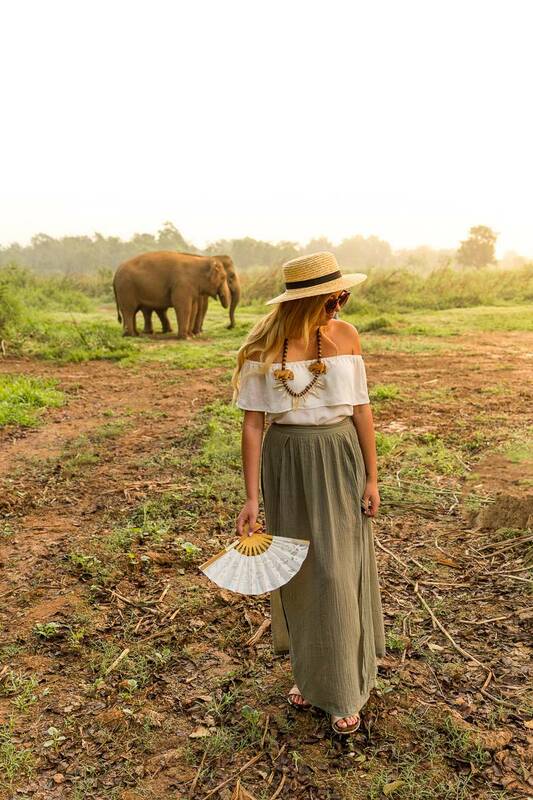 I first met her in Bangkok in Sukhumvit Soi 7 while I was having a beer with my old boss and decided to show off by attempting to speak Thai and pretend my plans for helping elephants off the streets were more advanced than they actually were. 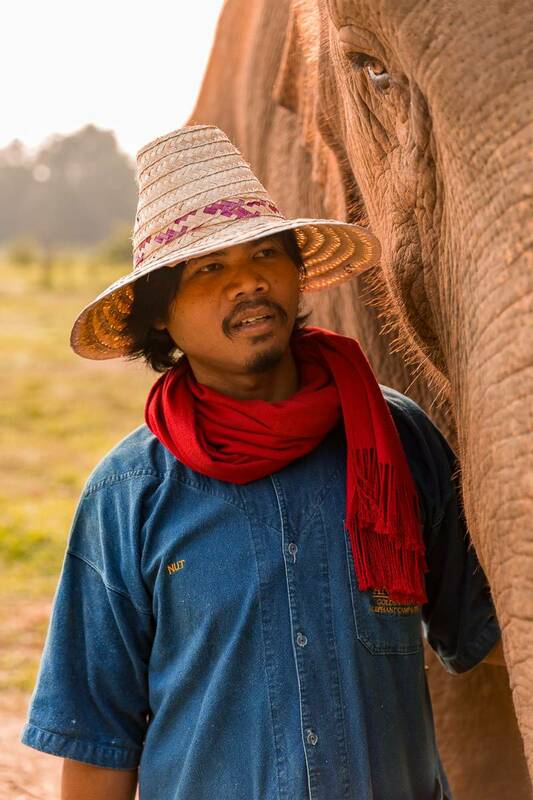 Surprisingly, after a month or so of negotiation the mahout agreed to come to live with us and both are still here. 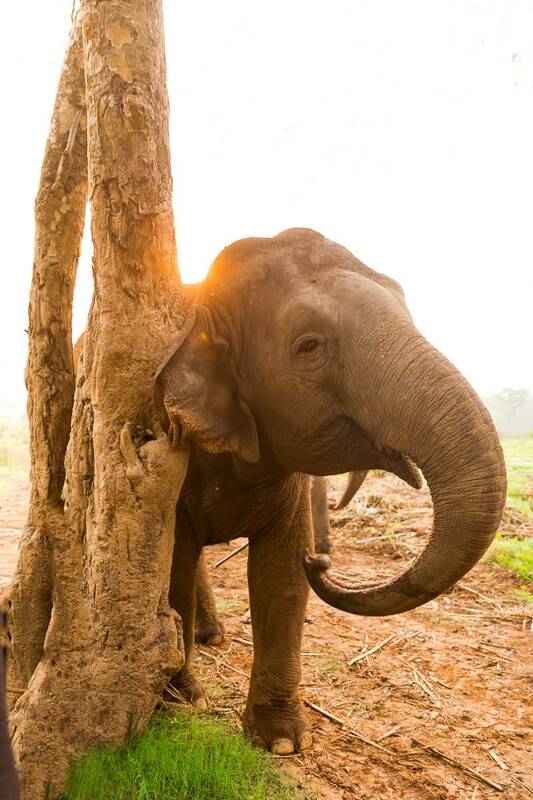 Bo has spent some time of the road but her owners were always resistant to that life and so they approached us six or seven years ago to come and live with us, she’s another family elephant, her current mahout is the nephew of the original guy and they are, thankfully (because it is not always the case, even here) both devoted to their elephants – actually, L. Lord, Pleum’s mahout actually named his grand-daughter after her. The Walking with the Giants experience started off with an introduction about the elephants we were about to go walking with, as well as some do’s and don’ts around the elephants during the two hours we were about to spend with them. 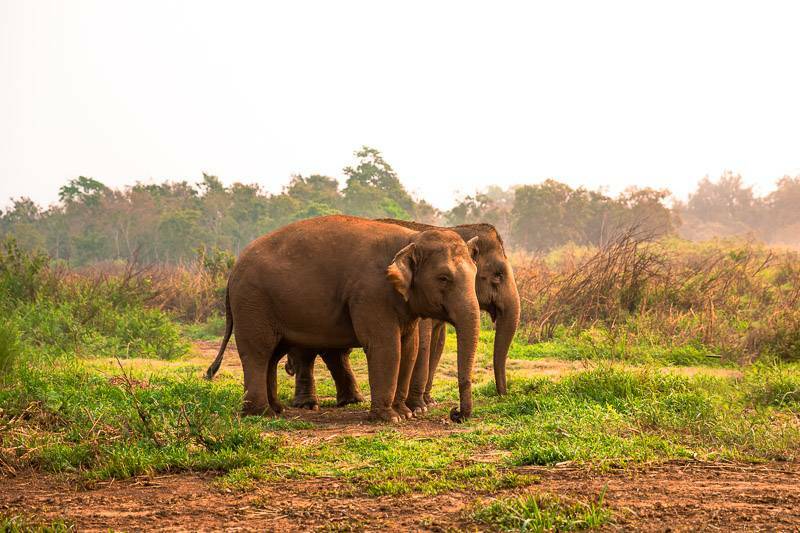 After the short briefing session, we simply followed these two elephant cows along their morning walk around the lush green property. 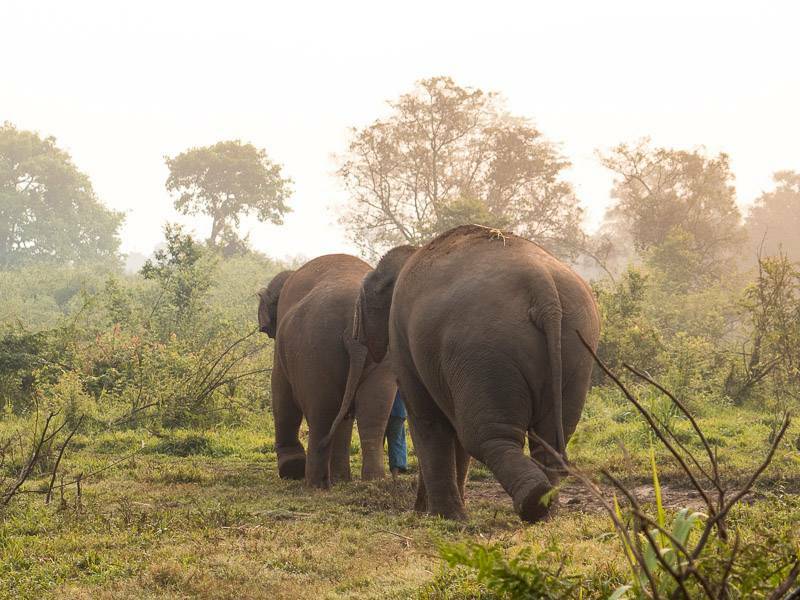 It really was quite a special experience to see these massive animals simply loving life, eating breakfast and even playing in the flowers before we made our way up to the sanctuary itself where they were given their shower before we said our goodbye’s. Here are a few of my favourite photos captured during our experience. Previous Post F45 Training Camps Bay is OPEN and the CHALLENGE IS ON! !